I recently partnered with CBRE Edmonton to create an aerial video promoting their listing at Station Pointe Village! You may remember that I previously worked with the City of Edmonton in early 2016 to create an aerial video promoting the land, but now I’d like to show you the difference a year makes! This was a fun one as I got to see the transformation of the land into an actual building, and continue to work with developers and realtors to create an excellent promotional product. 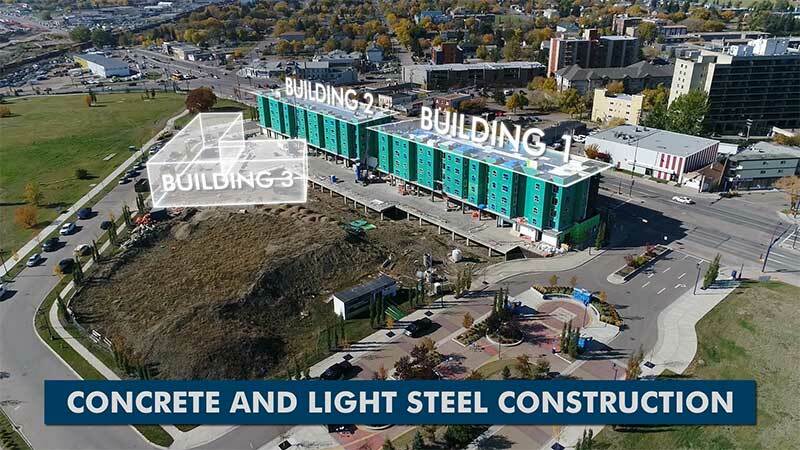 In this video we concentrated on promoting the proximity to downtown Edmonton, Belvedere LRT Station, major roadways, and the residential population in the area. To do this we flew and shot aerial footage with our drones on a nice sunny day, and then applied 2D and 3D overlays showing off all the highlights. One of my favourites is where we created a basic 3D render to represent the size and location of a future building within the development. Be sure to watch for that at the 15 second mark of the video! I’d love to hear from you if you have a commercial or residential development project that you’d like to be promoted from the air. You can contact me via email or call me direct at 587-991-0997. I look forward to hearing from you!